Fern Shepard, president, has over 30 years of experience in the environmental community, first as a staff attorney with Earthjustice and later as a senior officer managing international lands conservation programs at The Pew Charitable Trusts. She has worked on issues ranging from securing threatened and endangered species habitat to protecting children and at-risk populations from lead contamination and dangerous pesticides. Fern is chair of Earthjustice’s Board of Trustees and is a mother of three. Mit Allenby, operations manager, oversees finances, databases, and human resources, and the integration of these to support members and staff. Prior to Rachel’s Network, she worked in higher education focusing on strategic planning, organizational learning, and student and community engagement. Mit is a senior fellow with the Environmental Leadership Program. Jamie Boese, program manager, designs and implements our comprehensive program calendar. Prior to joining Rachel’s Network, she worked in national arts administration, focusing on programs, events, strategic planning, and board and staff development. Ariana Carella, network engagement director, leads community engagement; facilitates our membership’s collective funding and action activities; and handles fundraising, recruitment, and board reporting. Prior to Rachel’s Network, she held positions at the American Alliance of Museums. In her free time, she is a member and volunteer instructor for Hear Me Code, a DC-based women’s coding community, and writes and performs sketch comedy. Erica Flock, communications manager, oversees the Network’s website, print publications, and social media. She also manages the Network’s 501(c)(4) Rachel’s Action Network. She previously worked in communications and marketing for EarthShare, the National Wildlife Federation, and Kumarian Press. She’s an advocate for climate policy, the Great Lakes, and sustainable planning & transportation. Casey Hansen, membership and development director, cultivates future Rachel’s Network members and supports existing members, primarily on the West Coast. She spent seven years at the Pew Charitable Trusts, where she focused on fundraising for environmental initiatives, following her work in development at the Johns Hopkins University. Before that, Casey worked for more than a decade as a theatrical stage manager and production manager. Our Liaisons are women CEOs of influential national or international environmental and social justice nonprofits who provide high-level expertise and keep us connected to nonprofits that share our goals. Our Advisors are women leaders in their fields of importance to our community who provide high-level expertise and keep us connected to nonprofits that share our goals. These 18 women started Rachel’s Network in 2000 with a shared a commitment to conservation. 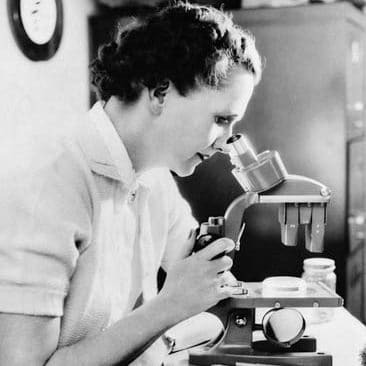 Rachel Carson was a scientist, ecologist, and writer who courageously advocated for policies that protected human health and the environment. Her research and writing spurred the creation of the Environmental Protection Agency and the modern environmental movement. Buoyed by her vision and audacity, we continue her legacy of fighting for the safety of our communities and our planet.